Once launched, the upcoming Tata Harrier SUV will go up against the likes of the Hyundai Creta, Renault Captur and the soon-to-be-launched Nissan Kicks. The Tata Harrier SUV has been one of the most eagerly anticipated launches from the homegrown company. Tata Motors has also been slowly but surely revealing information about the upcoming Harrier SUV. However, a spy image has surfaced online which shows the interiors of diesel-automatic version. The image also reveals a push-button start, steering-mounted controls, and a touchscreen infotainment system. The Harrier SUV will be getting a torque converter unit from Hyundai for its diesel-automatic variant. The Harrier SUV will get the newly derived Kryotec 2.0L engine, which is Tata Motor’s name for the Fiat-sourced 2.0-litre, four-cylinder turbo-diesel engine. Power output is expected to be around 140hp. Furthermore, Tata dealerships will start to accept bookings for the Harrier SUV from October 15. According to media reports, Tata Motors is accepting a fully refundable amount of Rs 30,000 for the upcoming Harrier SUV and also have dedicated space within the showrooms for the Harrier. This dedicated space will have an off-road theme to attract buyers. The Harrier SUV will be the company’s first product to be built on the OMEGARC (Optimal Modular Efficient Global Advanced Architecture) platform. Codenamed H5X, the SUV will be based on the advanced monocoque OMEGARC architecture, developed jointly with Jaguar Land Rover. 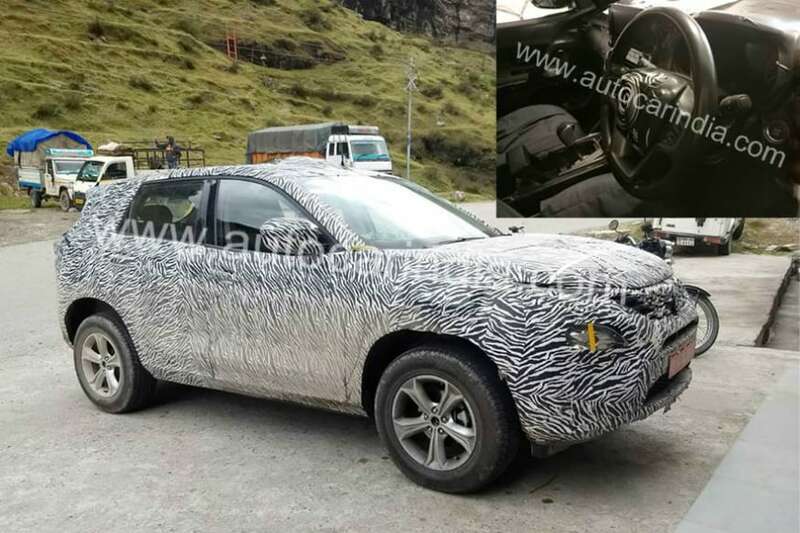 Once the Tata Harrier is launched in January 2019, the SUV will go up against the likes of the Hyundai Creta, Renault Captur, the upcoming Nissan Kicks which is to be unveiled on October 18.